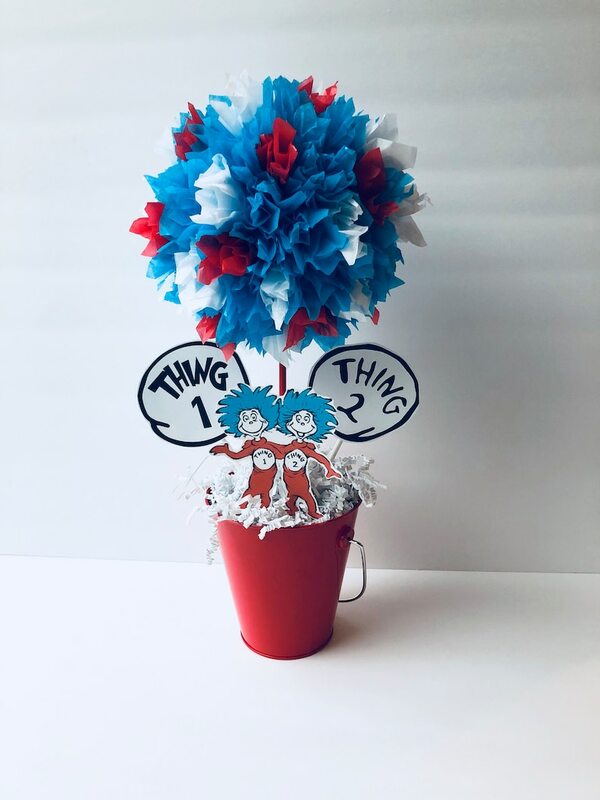 You will get 1 dr Seuss inspired topiary decoration centerpiece with base and cutouts on stick done in traditional Dr Seuss colors with the thing one and two cutouts as shown. This dr seuss inspired centerpiece measures approx. 14" in height! The cutouts are approx 3-6” the tissue ball is 6” round and the bases are 4-5” high.